When we think of home safety and security, usually complex security systems come to mind, or even flood lighting and motion sensors. We think of making sure the locks to our doors are in good condition and the windows latch properly. What we may not think of immediately, however, is the importance of our garage. The garage houses one of our most expensive possessions: our car. In many cases, however, it also serves as an additional entrance to our home (in the case of attached garages). In these cases particularly, it is incredibly important to give this part of our home a security and safety assessment. The first step to assessing the security of your garage is to make sure that it is impenetrable. 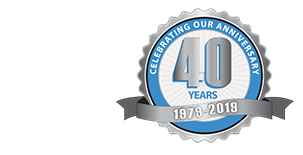 Making sure that your garage door opener is in proper working condition should be your first step. Does your remote work properly? A malfunctioning clicker will decrease the likelihood of your door closing as you’re pulling away, often not double checking due to routine. Either replace the batteries or the entire remote if this is the case. Once your clicker has been assessed, it’s time to look at your garage door parts. Does the door follow properly on the track? Are there any pieces that are rusting or corroded, that look as if they could break. If you do not have an automatic opener, then make sure to check that your locks function properly and are also not damaged or corroded. Any point of excessive wear could be a potential entry point. If you have windows on your garage door, or if it is made up of a large proportion of glass, perhaps frosted opaque glass will be preferable, as to not tempt or flaunt what may be inside. 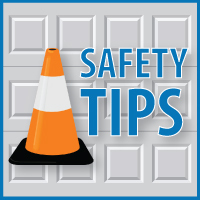 Once security is accounted for, be sure to assess the safety of your garage as well. Having its contents properly organized, hazardous materials in a place out of reach of children and pets, and everything put away will help you and your family to avoid accident or injury. Make sure to get into secure and safe habits, and discuss these habits with every member of your family. If you use an automatic door opener, be sure to check that you have closed the door—and check the functioning and condition of your garage door openers frequently to ensure you, your family, and your possessions are safe and sound. Source: Giving Your Home a Security Assessment: The Garage – Garage Door Openers.